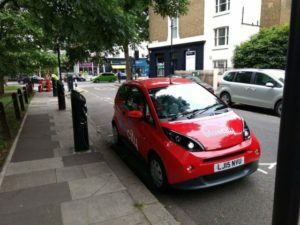 The Mayor of London is being urged to make car club spaces compulsory in new builds and incentivise the use of such schemes as part of a holistic approach to improving air quality. The call comes from London Assembly member Keith Prince who said more spaces would allow A-to-B journeys and could reduce congestion as he cited evidence showing that every car club car in existence takes 13.4 vehicles off the road and claimed the travel method could be the answer to reducing the number of cars in the capital. The report from the GLA Conservatives also proposed a scrappage scheme offering drivers car club vouchers worth several times more than the value of their vehicle to encourage them to part with their car.